A congratulatory Tweet by anti-austerity Podemos party leader Pablo Iglesias referring to the release from jail Tuesday of a Basque separatist leader and member of the ETA terrorist group as “good news for democrats” has sparked controversy in Spain and generated condemnation from the Socialist party (PSOE) as an “affront” to the victims of ETA violence. Iglesias’ Tweet on Tuesday morning implied Basque leader Arnoldo Otegi had been a political prisoner jailed “for his ideas,” sparking a back-and-forth exchange with Ciudadanos party leader Albert Rivera, who said Otegi had been jailed because he was a member of an “armed gang.” Otegi was released after spending six years in jail after being convicted as an ETA member of attempting under orders from group’s leadership to rebuild ETA’s banned political wing, Batasuna. 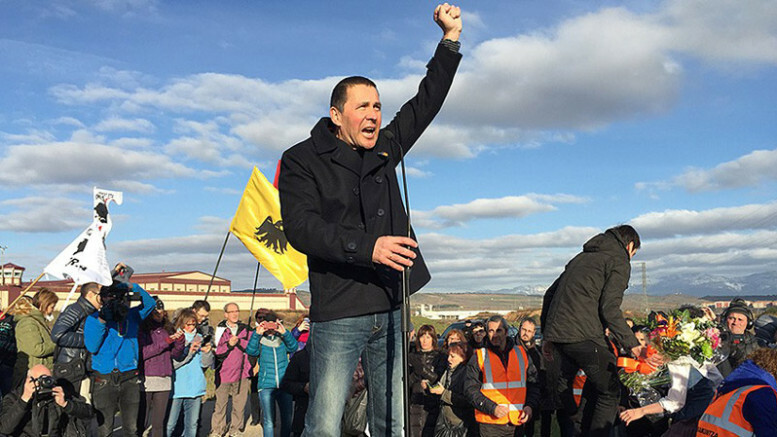 The Podemos leader’s support for Otegi was echoed by leaders of the United Left (IU) and the Catalan separatist ERC party, but late Tuesday PSOE spokesman Antonio Hurtado joined the criticism of Iglesias, saying Spain has no political prisoners in its jails and that Otegi and other Basque separatists should apologize to the families of victims of terrorist attacks carried out by ETA in the 1980s and 1990s.